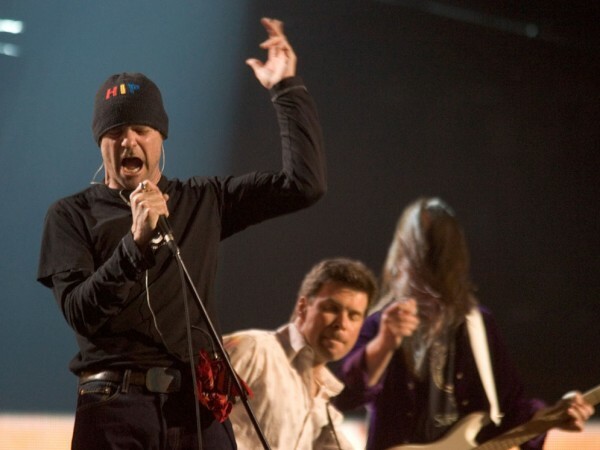 The Tragically Hip – often referred to simply as The Hip – have staked out their own vital place at the heart of the Canadian music scene by evoking a strong emotional connection between their music and their fans. The critically acclaimed five-piece, including Rob Baker, Gordon Downie, Johnny Fay, Paul Langlois and Gord Sinclair, grew up in Kingston, Ontario. Together they have achieved mass popularity with more than six million albums sold in Canada alone. The band has garnered dozens of JUNO Award nominations and 14 wins. 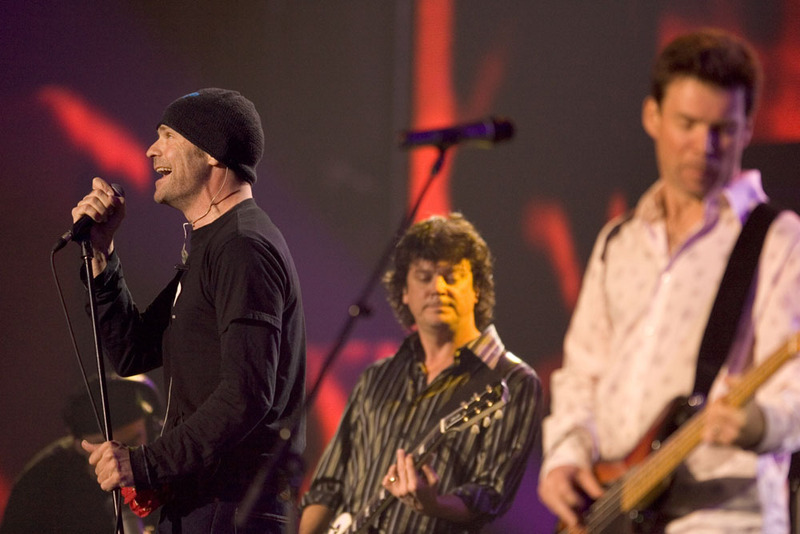 Formed in their collective hometown of Kingston, Ont., in 1983, The Hip took their name from a skit in the Michael Nesmith movie Elephant Parts. Guitarist Paul Langlois joined in 1986, while saxophonist Davis Manning left that same year. In the mid ’80s they performed in small music venues across Ontario before being discovered by MCA, which signed the band to a long-term record deal, and their first recording was the self-titled EP The Tragically Hip. They followed up with 1989’s Up to Here, an album that produced four singles, “Blow At High Dough,” “New Orleans Is Sinking,” “38 Years Old” and “Boots or Hearts.” All four songs became staples of modern rock radio playlists in Canada. Road Apples followed in 1991, producing three singles (“Little Bones,” “Twist My Arm” and “Three Pistols”) and reaching #1 on Canadian record charts. 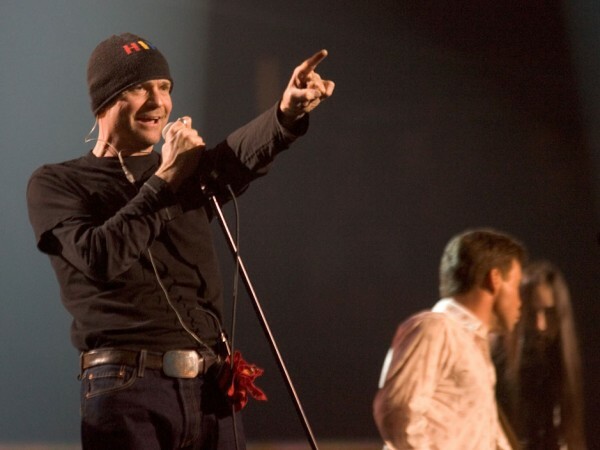 A year later, in 1992, they released Fully Completely, which produced the singles, “Locked in the Trunk of a Car,” “Courage” and “At the Hundredth Meridian.” The Hip created and headlined the first Another Roadside Attraction festival tour at this time, both as a vehicle for their powerful live performances and to promote other Canadian musicians. The band picked up speed as the ’90s wore on. Day for Night was released in 1994, producing six singles. Trouble at the Henhouse followed in 1996, producing five singles. The hit “Butts Wigglin’” appeared on the soundtrack to the movie, Brain Candy, by The Kids in the Hall comedy troupe. Live Between Us was recorded on the supporting tour at Cobo Arena in Detroit, Michigan. Many critics and fans consider mid-90s as the band’s defining era, when they explored a unique sound and ethos, leaving behind earlier blues influences. 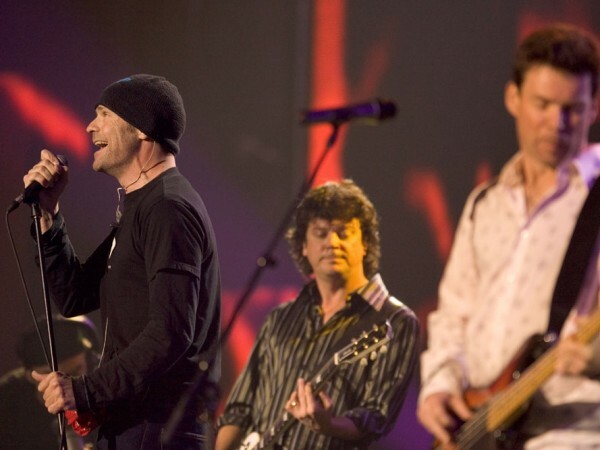 Downie’s singing became fuller and stronger while the band experimented with song structures and chord progressions. Songs examined themes of Canadian geography and history, water and land — motifs that are heavily associated with The Hip. While Fully Completely began an exploration of deeper themes and is rightly revered, Day for Night would show signs, for many critics, of enriched inspiration. It was on tour for this album that The Hip made its first and only appearance in the coveted musical guest spot on NBC TV’s Saturday Night Live, thanks in large part to the persuasion of SNL cast member and fellow Canadian, Dan Aykroyd. In 1998, the band released their seventh full-length studio album, Phantom Power, which produced five singles. It won the band two JUNO Awards: Best Rock Album and Best Album Design. The album has been certified platinum three times over in Canada. The year 2000 saw the release of Music @ Work, which garnered the JUNO Award for Best Rock Album. The following year the album World Container produced four singles, and reached the #1 spot on the Canadian rock music charts. The band toured as headliners in major Canadian cities, and then as an opening act for The Who on several U.S. dates. A tour of Eastern Canada, Europe, and select cities in the U.S. unfolded late in the year. 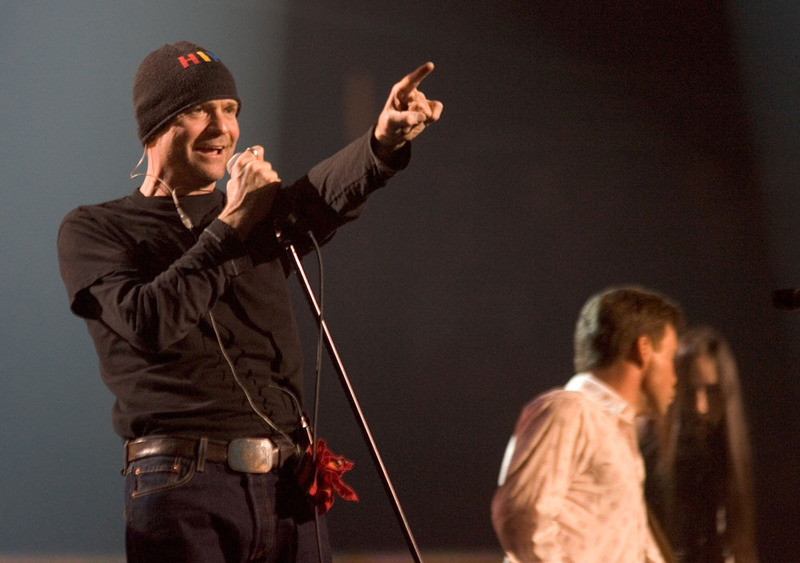 The Hip remained both prolific and consistently popular into the century’s second decade. In 2009, they again worked with producer Bob Rock, and We Are the Same was released in North America, producing three singles. In 2012, the band released the album And Now for Plan A and, on the cusp of the 30th anniversary of Fully Completely, The Hip embarked on a 2015 tour that highlighted and celebrated tracks from that watershed release. The Tragically Hip formed in 1983 at Kingston Collegiate in Kingston, Ontario. Won their first JUNO Award (for Most Promising Group of the Year). They would win 13 more (and counting) in subsequent years. Provided the halftime entertainment for the 92nd Grey Cup at the Frank Clair Stadium in Ottawa. 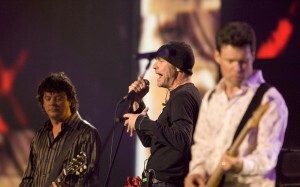 Inducted into the Canadian Music Hall of Fame at the JUNO Awards Show in Winnipeg. 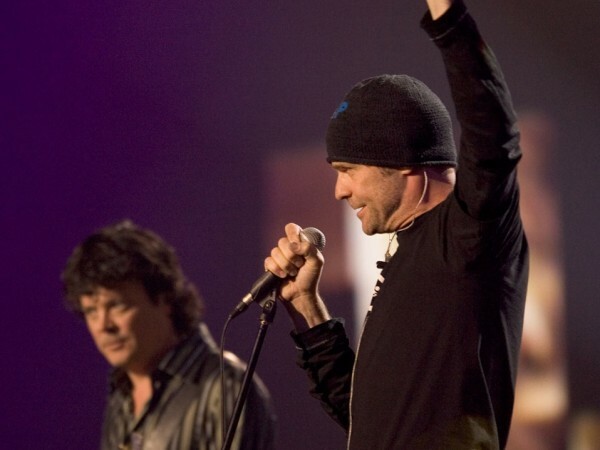 Canadian Music Hall of Fame inductees The Tragically Hip. 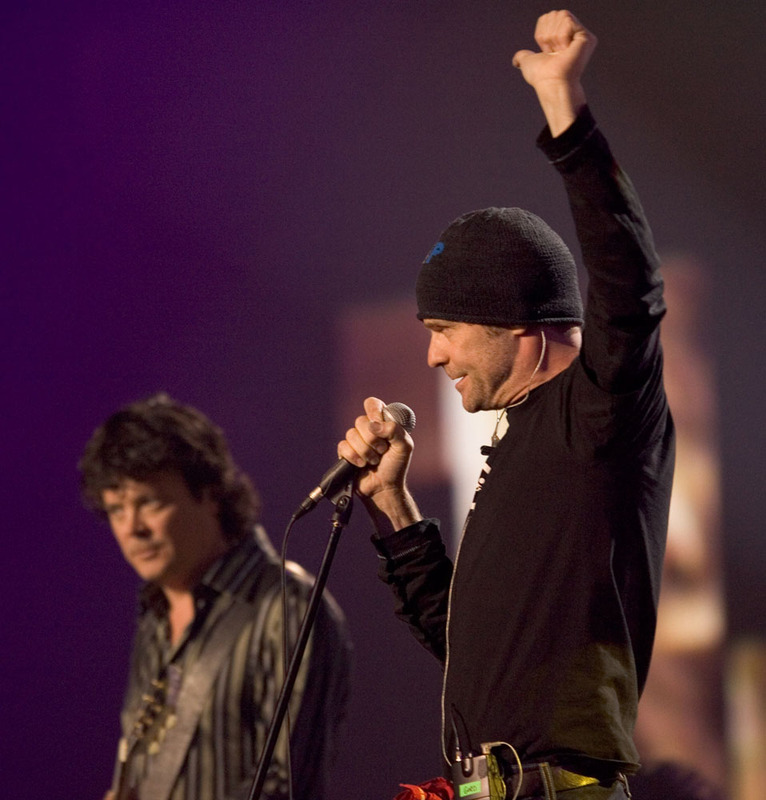 2005 Juno Awards. April 3, 2005, Winnipeg, Manitoba. Performed “It’s a Good Life If You Don’t Weaken” and “Poets,” as part of a command performance for Queen Elizabeth II in 2002. Made an appearance in the film Men With Brooms in 2002, and, in 2005, made a cameo in an episode of the hit Canadian TV show Corner Gas. Recorded a cover of “Black Day in July,” a song about the 1967 12th Street Riot in Detroit, on Beautiful: A Tribute to Gordon Lightfoot in 2003. Have won 14 JUNO Awards, including their Canadian Music Hall of Fame induction.